Connect From Anywhere is a professional CCTV and Security integration contractor in the New Jersey Tri-State Area. We offer a full line of Analog, HD-SDI and IP cameras, as well as great selection of DVRs and NVRs. We offer free site inspections. We will talk to you about all your networking needs and options. We offer networking on a job specific basis. We have expertise with all Windows and Apple Operating Systems. 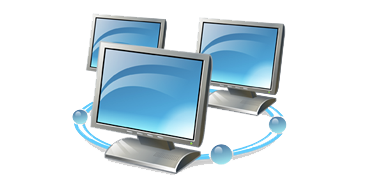 We can custom configure a network from a small home-office to a large multi-location company. Give us a call, we have the answers you're looking for. Enormous amounts of data are generated daily by smartphones, video cameras, monitors, and other connected devices. Is your company ready? We offer businesses a single-source provider for Voice and Data Infrastructures, Phone Systems, Audio/Video Distribution and Video Surveillance. We have served as a one-stop solution for many businesses and private clients providing superior service, expert installation and the highest quality infrastructure and telecommunications solutions guaranteed to meet and exceed customer expectations. We are a professional CCTV and Security integration contractor in the tri-state area. We offer a full line of Analog, HD-SDI and IP cameras, as well as great selection of DVRs and NVRs. We provide complete cabling services. Whether you need basic phone system cabling, data network cabling, fiber optic cabling, coax cabling, server room cabling, or wireless network infrastructure cabling, we’ve got you covered. Intranet is the generic term for a collection of private computer networks within an organization. An intranet uses network technologies as a tool to facilitate communication between people or work groups to improve the data sharing capability and overall knowledge base of an organization's employees. to share information, operational systems within an organization. This is a company that goes the extra mile for customer satisfaction. They came and provided us with the security we needed for one of our staple locations. We are now outfitted with a fantastic CCTV infrastructure that meets our needs. Connect From Everywhere has given us flexibility in our day to day operational challenges, allowing us to mantain a high level of service and adapt and improve to meet a rapidly changing marketplace..
We believe that customer service is what builds trust with our clients and enables our business to grow to meet the needs of your business. We look forward to bringing our expertise to you serve the needs of your company now and into the future!